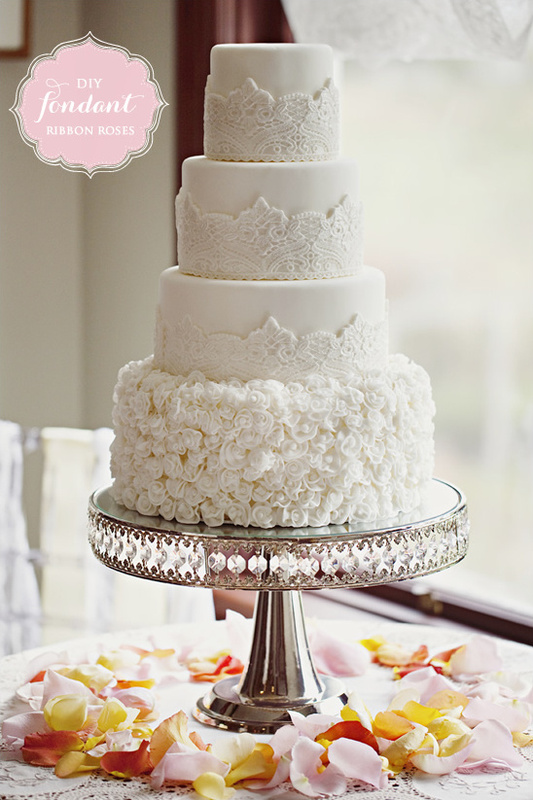 While there are many aspects of the wedding we love, we have to say one of our favorites is a pretty wedding cake. The more pizazz the better. Thanks to Melissa of Buttercream Couture who shows us how to create a little pizzazz of your own by making your own fondant roses. With a little time and patience, you can make these incredibly eye-catching tiny treats. Ideal for cupcake toppers or a wedding cake. It is actually quite easy to do, you will only need a few things to get the process rolling. 3. Pizza cutter 4. Rolling pin 5. Small Pastry Brush 6. Gin or Vodka - Alcohol is preferred for fondant as it evaporates more quickly then water. It provides the moisture you need to "glue" the fondant together without making everything wet. But remember, fondant is sugar. And sugar + water = big sloppy mess so if you do use water, be very stingy with it. Read on to learn step by step instructions on How to Make Fondant Roses from Buttercream Couture. Diy instructions photographed by Frances Eden Creative and main cake photos captured by Ophelia Photography. 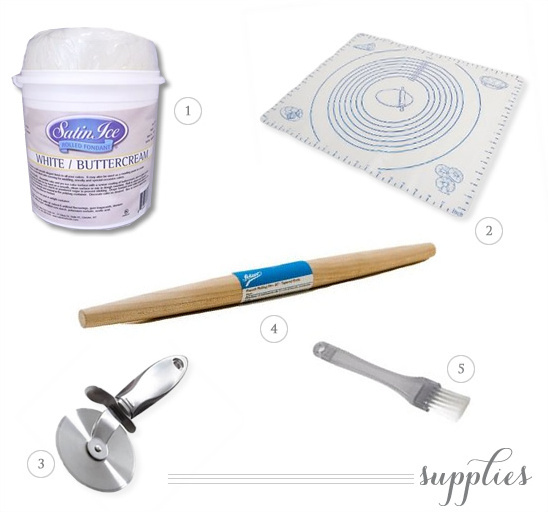 Step 1:Knead your fondant to soften, then roll out onto a sugar covered surface or onto a silicone mat. You want to roll it as thin as possible, while still being able to handle it without it tearing, so anywhere between a 1/4'' - 1/8'' if your a measure, otherwise, eyeball it and worse case you have chubby roses. Cut off the wobbly edges so you have a nice rectangle/square/uniform-shape-of-some-type, and cut into 1'' strips. Cover these with plastic wrap so they stay soft, removing one at a time to work with. • Its just like play dough! And just as edible! • You can throw your fondant in the microwave for 10-15 seconds to soften it more easily. Still knead it afterwards, but this gets it moving much more quickly! • The fondant will begin to dry and stiffen immediately if left uncovered and give your roses crackly edges, this is why it is important to keep it covered and only remove one strip at a time to work with. • You can save the excess fondant you pinch off! Just cover it every time you pinch it off until you have enough to roll out and make more strips. Give it a good kneading before you do!